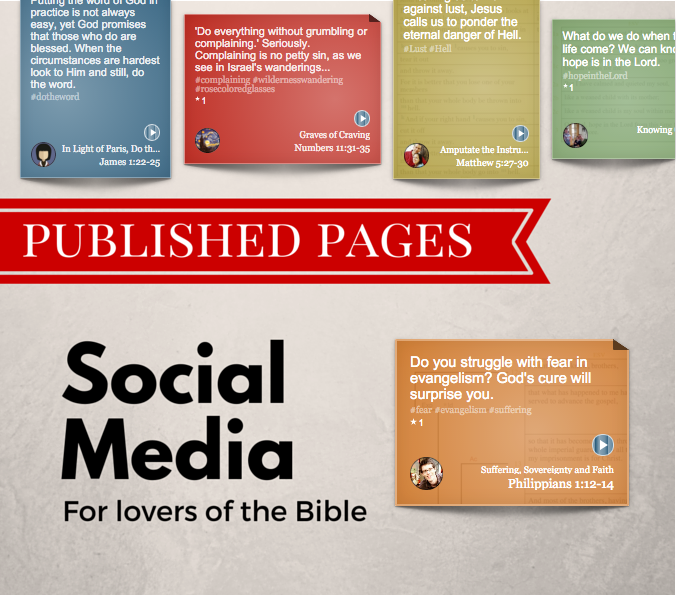 Social media for lovers of the Bible. 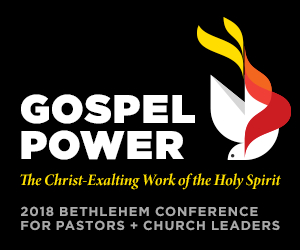 For those who find their delight in meditating upon the Word of God and not just airing their own opinions, this is the place for you. 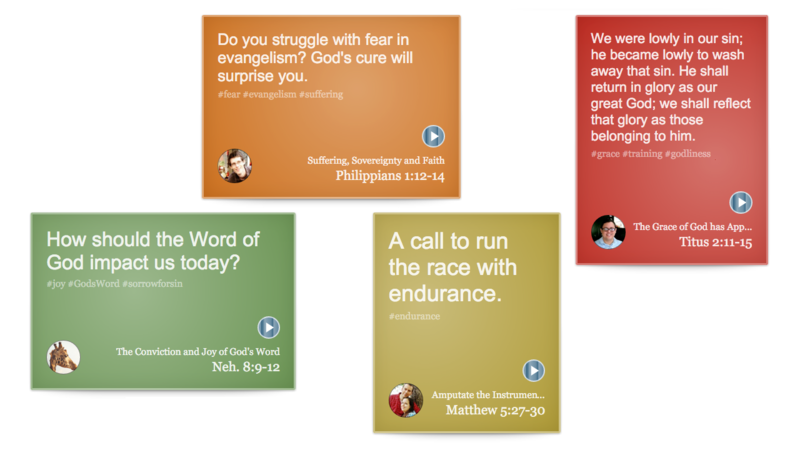 Text nuggets and audio snippets backed up by in-depth study. 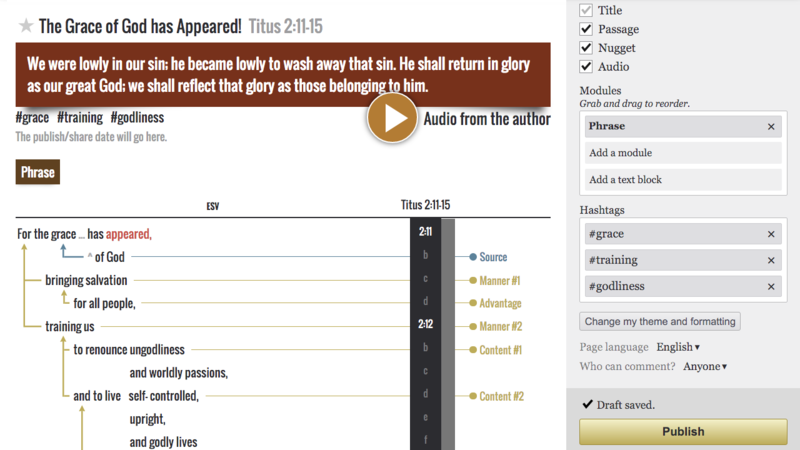 Create a tweet-sized nugget and 20 seconds of audio, drawing others into the full breadth of your study. Share with individuals, groups or the world. 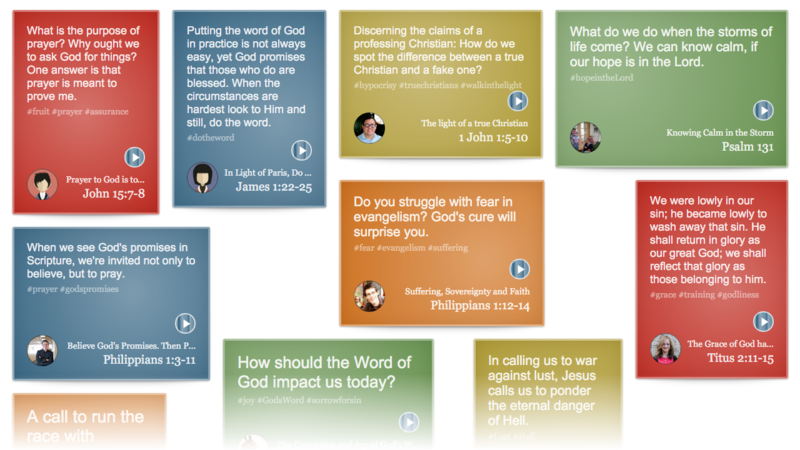 Join us in creating a worldwide community of serious students of the scriptures. Publish your work in minutes. Understanding the depths of the Bible is not easy, but showing others what you have discovered should be. With Published Pages, it is.